Sampford IXL has announced the new IXL Fresco Aurora. This new outdoor heater has a trio of features that includes radiant warmth, mood lighting and task lighting that allow year-round entertaining as well as the ability to control it all remotely through a free smart phone app. With Halo Heat Technology, rapid heat is delivered through two 1,000W carbon fibre medium-wave infrared lamps that allow an even and effective distribution of heat that keeps guests warm during those chilly winter months. Due to the reflectors directing 95% of the heat downwards on people and objects, the ambient heat is absorbed rather than being affected by wind. Efficient and effective LED strip lighting illuminates spaces, especially in low light areas, and gives a consistent level of lighting at the press of a button. To complement, a mood lighting option allows it to be fully customised by the user as that also includes a colour option to suit any colour scheme. An in-built timer function allows the ability to have it on until a certain time, which alleviates having to think about turning it off at the end of the night, as well as being energy efficient when needed. The IXL Fresco Aurora has a medium bronze finish, hidden fixings and anti-corrosive material that allow it to coexist in any outdoor entertainment setting. External dining areas are where this system shines, with its design revolving around the potential to be suspended from flat or gabled roofs. This product, as well as other IXL Fresco innovations, will be available for purchase online. Everything is designed, engineered and made in Australia with a two year warranty or a 12 month premise warranty. 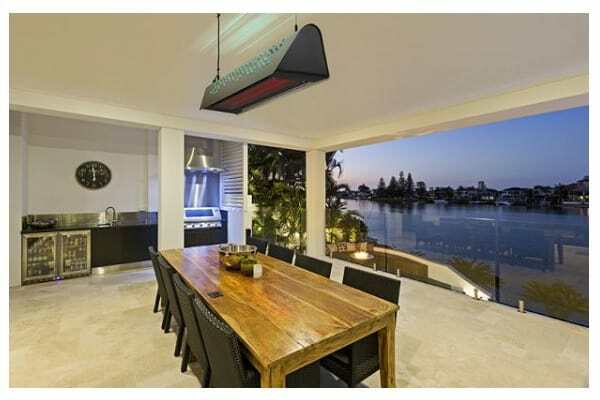 Visit http://www.ixloutdoorheating.com.au/ for more products and information.